These blankies are snuggly soft and perfect for cuddling. 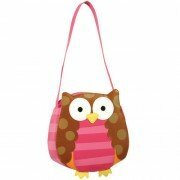 Some blankies feature a rattle in the h..
Toddler Go Go Purses have vinyl construction. The purse is nylon lined and measures approximately.. 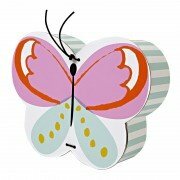 This quirkly cute critter from Jellycat is perfect for an abundance of affection! Super soft to t..
We thought hedgehogs were spiky and sharp, until we met bonny Bashful Hedgehog! This cuddly critt..
Gorgeous, golden and oh so holdable, Beckett Bear can’t wait to say hello! A curly teddy with bea.. Bashful Panda loves sitting and thinking really hard, wriggling her pretty black ears and toe..
Adorable, snuggly and very, very cosy, let’s welcome the wonderful Peanut Penguin! Vintage-in.. Intricate detail and moving cymbals highlight this wonderful rendering of the famous monkey. &nbs.. Filled with the splendor of summer and decorated with the brightest colors this pretty butterfly ..
Maison Chic - 8" Alligator Rattle. The unique fabric with it's soft, yet bumpy texture and ..
Silky-soft and lovingly loyal, Bashful Black & Cream Puppy wants to play all day! He comes in.. 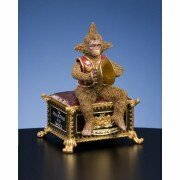 This exclusive hinged trinket box with excellent detailing and Phantom and Christine revolvi..